This basic license allows you to make unlimited number of projects for both personal and commercial use. This basic license grants you non-exclusive and non-transferable rights to use the designs according to the terms stated below. 3. Printing the design on final physical products for sale such as t-shirts and other clothing, mugs, bags, phone and laptop cases, stickers, cards, invitations, planners, printable art, flyers,decals, journals, notebooks, book covers, wall clocks etc. 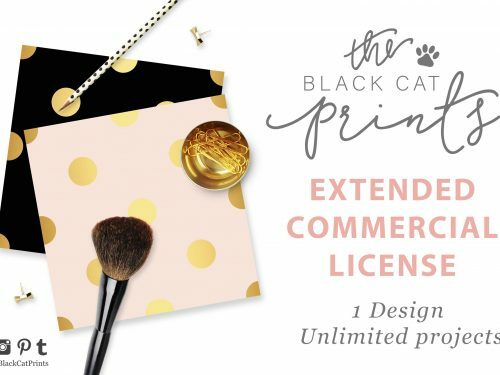 Selling digital items that compete withTheBlackCatPrints products such as SVGs, printables, etc. However you may sell physical printed products as stated above. You may not claim my designs as your own work. This purchase does not transfer rights. *If you like to upload the design on print on demand sites, please purchase my Extended commercial license. 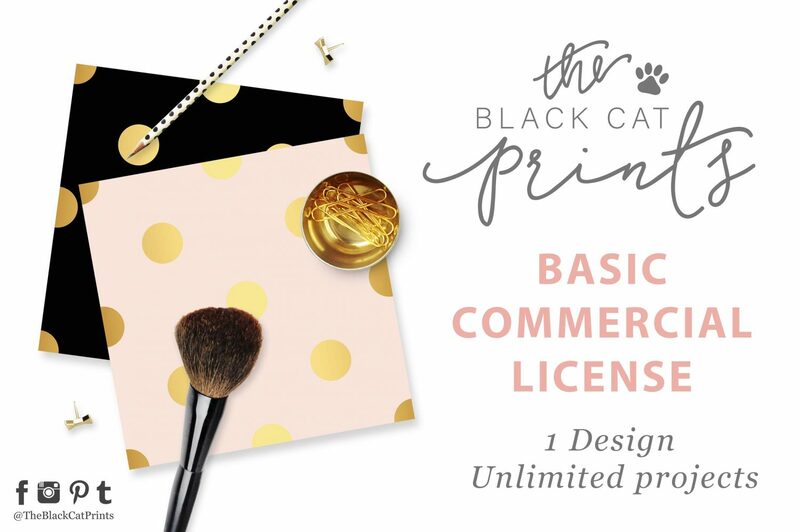 Include this license in your cart along with the product you want to use the license for. If you purchase this license for products previously bought, please contact me with your order number. You will receive one PDF document with the license details. Keep this document and your order number as a proof for your license. Unfortunately my Commercial licenses are NOT applicable for trademark protected words and phrases. I do my best to research and remove such designs from my store but there are hundreds of new trademarks registered every day.